Chinese aircraft intercept U.S. reconnaissance plane over South China Sea - 世界军事 - 小木猫 - Powered by Discuz! 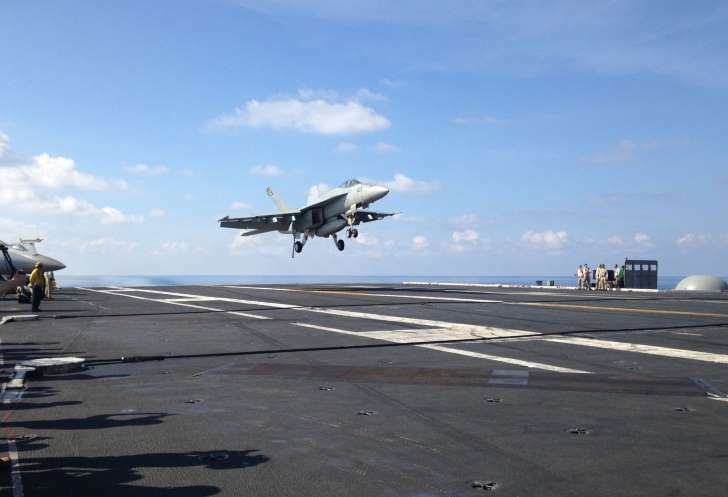 WASHINGTON, May 18 (Reuters) - Two Chinese fighter jets carried out an "unsafe" intercept of a U.S. military aircraft on Tuesday over the South China Sea, the Pentagon said on Wednesday. The incident took place in international airspace as the U.S. reconnaissance aircraft carried out "a routine U.S. patrol," a Pentagon statement said. The incident comes a week after China scrambled fighter jets as a U.S. Navy ship sailed close to a disputed reef in the South China Sea. Another Chinese intercept took place in 2014 when a Chinese fighter pilot few acrobatic maneuvers around a U.S. spy plane. "Over the past year, DoD has seen improvements in PRC actions, flying in a safe and professional manner," the Pentagon statement said, using an acronym for the People's Republic of China. In 2015, the United States and China announced agreements on a military hotline and rules of behavior to govern air-to-air encounters. Washington has accused Beijing of militarizing the South China Sea after creating artificial islands while Beijing, in turn, has criticized increased U.S. naval patrols and exercises in Asia. In April 2001, an intercept of a U.S. spy plane by a Chinese fighter jet resulted in a collision that killed the Chinese pilot and forced the American plane to make an emergency landing at a base on China's Hainan island. The 24 U.S. air crew members were held for 11 days until Washington apologized for the incident. That encounter soured U.S.-Chinese relations in the early days of President George W. Bush's first administration.